This much loved aircraft returned triumphantly to the public domain at the RAF Waddington International Air Show in July 2008 for the first time after an absence of 16 years and has been seen by many millions of people all over the country since that incredible first year. Confirmation of her attendance means that visitors to this year’s Air Show can look forward to what many observers’ term the ‘Vulcan Effect’; this being used to describe the amazing impact the aircraft has on the public when she appears at air shows and other events. RAF Waddington International Air Show Director Paul Sall says: “We’re working really hard on an exciting line up for this year’s Air Show, so to have confirmation that the Avro Vulcan, which is such a favourite of the crowd, will attend is fantastic news.”It is almost 20 years to the day since XH558 was retired from the Service and left RAF Waddington for what some thought would be for good. However, since 2008 XH558 has been kept in superb running condition by the Vulcan to the Sky Trust and volunteers at Robin Hood Airport at Doncaster. 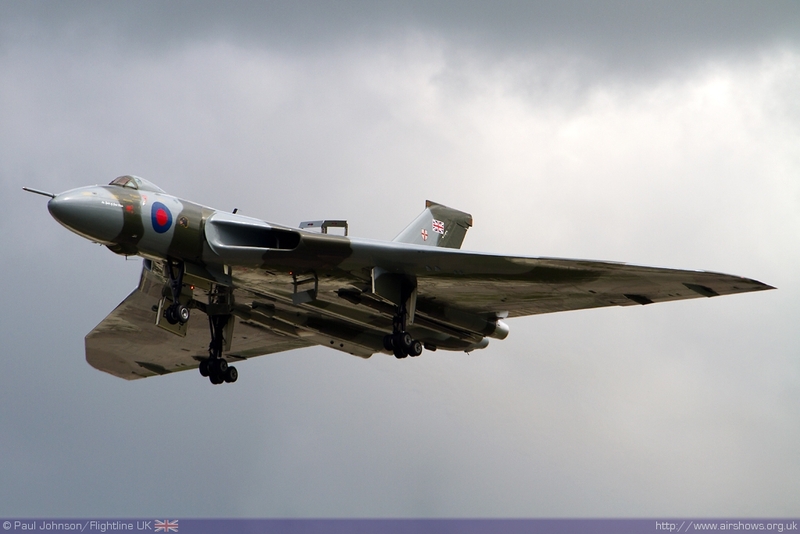 Now research to extend the flying life of this, the last airworthy Vulcan has taken a significant step forward as engineers seek to solve the technical challenges that could stop the aircraft flying after the 2013 season. This year’s event will celebrate the RAF’s 95th Anniversary and commemorate the 70th Anniversary of the World War II Dam Buster Raids. Tickets for the Air Show have been on general sale since November 2012; early indications are that it’s going to be another sell out year. With advance tickets breaking last year’s records, this year’s Air Show looks set to be winner and without doubt a great family day out. Tickets for the event are available from the official Air Show website: www.waddingtonairshow.co.uk . Advanced tickets are discounted and the organisers encourage advance purchase as on the day tickets may be limited if demand is at such a level where the gates may be closed based on pre show sales.